Many of our incoming patients are homeless and unemployed, because their addiction has taken everything away from them. They and/or the households they come from, are in danger of falling under the federal poverty level. Single mothers who have left their children with family members, fathers alienated from their wives and children, older men and women struggling to turn their lives around after many years of worsening circumstances are among the complex population we serve. Trying to climb back up out of that dark hole of hopelessness is how people feel when they begin their recovery journey. We are here for them, with a holistic, individualized program of recovery, caring and compassionate clinical and administrative staff, and safe and secure housing. We are committed to admitting new clients in a timely manner and get them into needed treatment to help save their lives. Counseling, both individual and group, is critical for providing patients with the tools they need to learn how to live a sober life, adopt healthy ways to deal with stress and with feelings in general, and feel confident about re-entering their homes, find new jobs, identify relapse triggers and learn effective coping skills. Wells House will continue to increase our efforts to bring awareness of our local substance misuse issues to our communities. One highlight of these efforts will be to continue to host local Town Halls and forums, opening dialogues about the “Problems and the Solutions” of the deadly opioid and heroin epidemic that is impacting our community. We will continue to engage students from both counties that we serve in discussions about the dangers of substance misuse. We will continue to partner with other local agencies in the prevention of substance use disorder through awareness of the issues surrounding it. 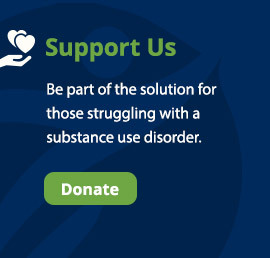 We understand that educating our community is the path to prevention of the disease of substance use disorder and to saving the lives of our children and loved ones who are so very vulnerable to its devastation. Our mission continues to be providing safe, effective substance abuse treatment to our patients. Our programs offer the opportunity to be part of preventing a tragedy, preserving life and having a powerful impact on the health of this community.